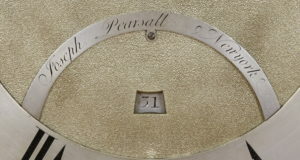 Joseph Pearsall was Born in 1740 and died in 1834 in New York. In 1771 he married Hannah Browne. 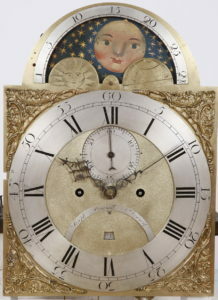 He worked as a silversmith and clockmaker during the last quarter of the 18th Century in New York City. In addition, he enterered into partnerships with Thomas Pearsall and Effinham Embree. 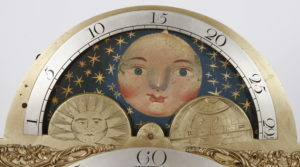 This is a clock that we acquired a number of years ago at public auction after it was de-accessed by the Museum of the City of New York. 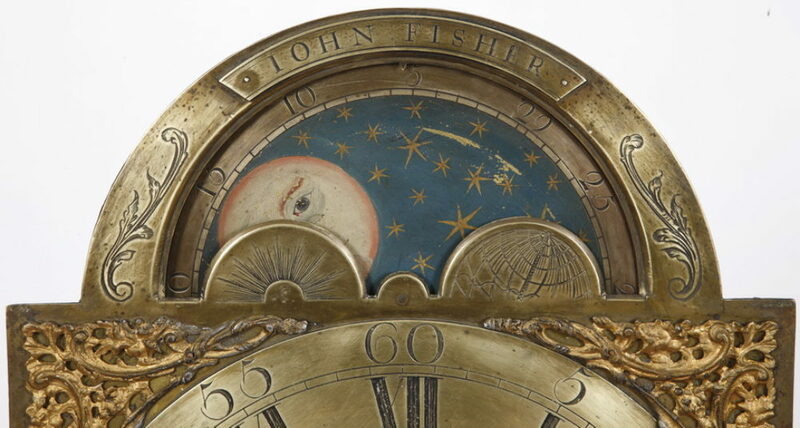 I actually first learned about this clock 30 years ago from Jack V. Schuyler (Van-Schuyler – Rensselaer family) as this clock was donated to the museum back in 1960. You can see the asset tag in red in many places on the clock. As with most property that sits in a warehouse for decades, this one needed a lot of TLC including regluing, restoration of the fret, finish conservation, dial re-silvering and movement work as well. 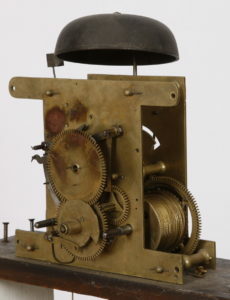 Its amazing that the original brass shell/lead filled weights remained with the clock as did the pendulum with characteristic flat brass rod. 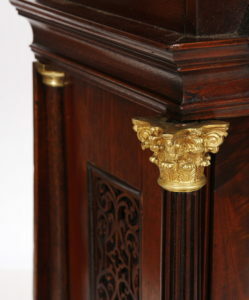 The finials are contemporary as are the Corinthian capitals at the top of the quarter columns. 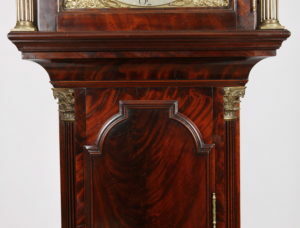 The rest of the case is original and it stands 97 tall without the center finial and 103 1/2 with the center finial. 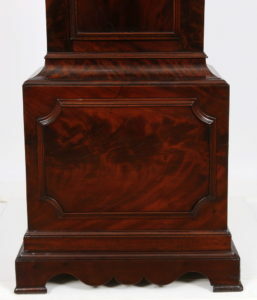 The feet and bracket base are original. 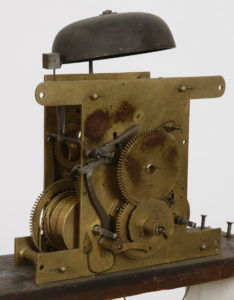 The strike/silent lever had been removed at some point in the past and we left it as a striking clock. 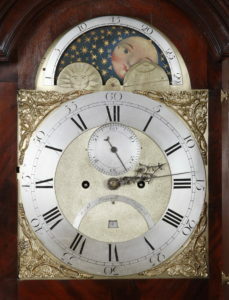 New York City clocks are extremely rare, especially Brass Dials.